Carol Collette is an internationally acclaimed artist known for her original etchings, engravings and paintings. Her artwork is shown in galleries in the USA and Japan, and is in many private and corporate collections. For over 40 years, her art has been and continues to be, collected and admired by fans around the world. From an early age Carol had an interest in art and an eye for things of beauty and after graduating from the Ontario College of Art and Design, she worked in Quebec City creating fashion illustrations. A year later, while touring the major museums of Europe, Carol became fascinated with the technique of etching and devoted her time to mastering this demanding medium while creating etchings of New England landscapes, painted with watercolor. Living in Hawaii for the past 25 years, Carol loves to hike, and draws inspiration from the beauty often found just outside her doorsteps: sweeping landscapes, tropical flowers and plants, and various aspects of local culture. 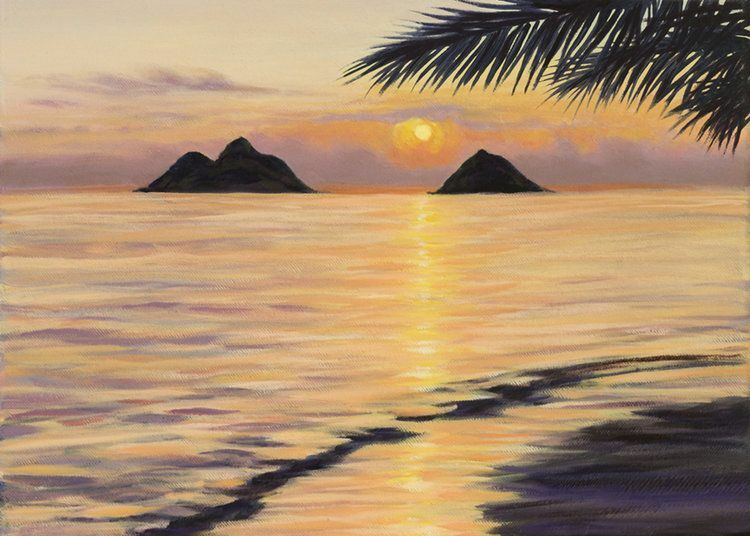 From scenic coastal views to hula dancers, Carol’s art beautifully reflects the many facets of Hawaii’s natural allure.